The Shape Nouveau collection brings you playfully chaotic modern pop art designs. This complete set comes with 5 unique plates: Back to Basics (XL501), Squiggle Squad (XL502), Optic Pop (XL503), Get with the Program (XL504), and Off the Grid (XL505). Layer graphics from different plates combined with wild colors for completely unique high-energy manicures. The possibilities are endless. These XL (4.25in x 2.4in) plates feature full nail, accent, and buffet-style designs to give you tons of ways to be creative. As with all our nail stamping plates, we use laser-engraved stainless steel, so you'll receive the highest quality and most intricate results. Talk to us! Leave a review and share your creation. *NOTE*: Bundle Monster is a registered trademark of Remi Collections LLC and is exclusively distributed by Bundle Monster. Bundle Monster trademark is protected by Trademark Law. Love how easily all these deisgns work together when layered, lots of versatility overall, & most importantly I LOVE finally having a set of letters to pull from!!! This is my first set of stamping plates and I have to say that they are incredibly versatile--especially the one plate (XL501) that has geometric shapes! While I've got a bit to learn about stamping, I've found that the pickup from these plates is reliable and has solid coverage. I like each plate from this collection and I like the possibility to make so different designs with it. Quality is perfect - it's very easy to stamp using these plates. Thank you! I love this stamping plate set. 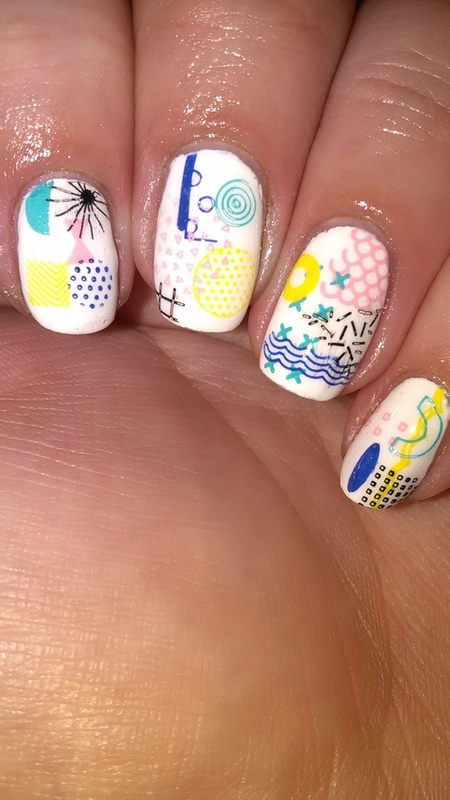 These plates have a nice variety of designs so that you can create unique nail art. The images stamp beautifully! Highly recommend these plates! Love this plate set! So many options! I especially love the layering options.